Information continues to emerge in recent days regarding the ongoing investigation by Quebec’s Autorité des marchés financiers (AMF) into allegations of insider trading centered on Canadian online-gambling giant Amaya Gaming, parent company of PokerStars, and its CEO, David Baazov. Baazov and at least 15 others face various forms of insider trading charges brought last week by Quebecois authorities, with hefty fines and prison terms a possibility should the defendants be found guilty. The news of the charges against the Baazov-centered group emerged several days back, but what’s emerged since then is a strengthening of the allegations involving Baazov and two other men involved to an indeterminate degree in the founding of what would later become Amaya. 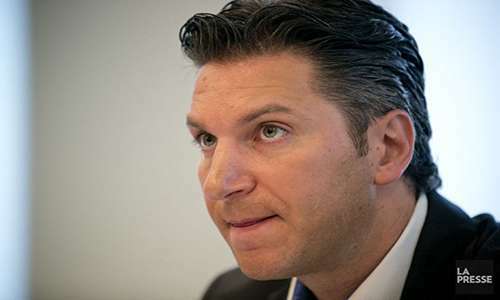 The two men, Joshua Ofer Baazov (David Baazov’s older brother) and Craig Levett, are among those alleged to have profited handsomely, via information received from David Baazov, in extensive stock trades prior to the official announcement of Amaya’s 2014 acquisition of PokerStars. The entire picture deepened on Thursday with the publication of a feature by the Journal de Montreal detailing ore of the extensive insider-trading allegations involving Baazov, his older brother, and Levett, with more than a few skeletons now being dragged into a broader public spotlight as well. According to the JDM feature, court documents associated with the ongoing AMF case allegedly show that Baazov has systematically leaked information about pending Amaya deals to his brother and Levett for more than four years, going at least as far back as Amaya’s acquisition of Cryptologic in 2010. And, according to the JDM peice, every time the very active Amaya cooked up a business deal, information about that deal went out via the Baazov channel, to his brother, Levett, and others. In addition to Cryptologic and Oldford Group (the post-Rational parent company of PokerStars), companies also connected to the insider-trading scheme via their business dealings with Amaya included Chartwell Technology Inc., WMS Industries inc., BWIN Share, and the Intertain Group Limited. The Intertain story is somewhat different than the others. In February 2013, Josh Baazov [interecepted, or was forwarded] communications between a lawyer and his brother [David Baazov]. They talked of an impending transaction on the title of WMS Industries Inc.. Craig Levett, his wife, his brother and other accomplices then bought hundreds of thousands of dollars of shares, according to the AMF. Some days later, Josh Baazov, [source of the leak], received two checks totaling $ 32,000 marked “gift,” says the Authority. 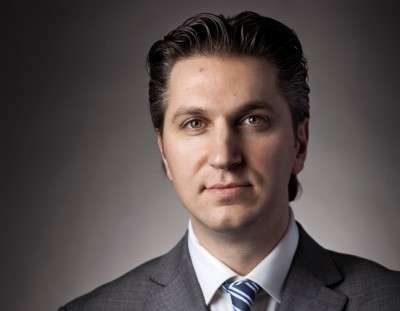 All told, this ongoing insider-trading channel, beginning with David Baazov, is alleged to have garnered at least $1.5 million in profit from the illegal trades. Yet exactly when the older Baazov and Levett departed the Amaya scene remains unclear, with “never” still being a possibility. Celebrity Tan became Amaya-predecessor Gametronix during the early- to-mid-’00s, and was changed to Amaya not too long after, likely due to multiple businesses already having staked out the “Gametronix” name. Yet the past of both Levett and Josh Baazov has always been alleged to be a mite squirrelly, with the two named in several pieces as being connected with the fraudulent FutureBet operation, which failed spectacularly almost a decade ago. Levett and Josh Baazov were also part of the early Amaya, too, but it appears that in the wake of the FutureBet scandal, all parties involved may have agreed to remove them from official Amaya operations. Nonetheless, quite a bit of evidence exists suggesting that the pair represented Amaya unofficially until at least 2011. Worse, both Joshua Baazov and David Baazov can be shown to have been involved in previous business and financial dealings were other people were left holding the bag. Back in 1997, Joshua Baazov was found guilty of telemarketing fraud involving claims that his company, Incentive International, bilked US senior citizens out of large sums by awarding them prizes that they actually paid too much to receive, by conveniently overlooking the “no purchase necessary” requirement of all such US sweepstakes offers. The Federal Trade Commission charged both Joshua Baazov and “Ofer” Baazov in that case, not realizing that they were the same person. Baazov didn’t bother to correct the FTC, either, and it appears a summary judgment may have been issued. The elder Baazov was ordered, as reported last year by the Toronto Globe & Mail, to pay $777,000 plus interest. Except Joshua Baazov never bothered to pay that amount, which is still outstanding. David Baazov is no stranger, either, to the losing end of a court judgment. He and childhood friend Benjamin Ahdoot, started a tech company called Vortek Systems which generated much of its income from what appears to be pirated music. The company ran afoul of Canadian content-ownership laws, and eventually lost a case to Canada’s Copyright Collective. Vortek was ordered to pay a CAD $900,000 penalty in addition to unpaid copyright levies of $1.7-million. The Copyright Collective tried to attach Baazov’s and Ahdoot’s personal assets, but were denied on the grounds that the two had not shown bad faith, despite the tortured nature of the copyright trial, which dragged out for more than three years. Arguably, the bad faith came soon after, when David Baazov and Ahdoot put Vortek into bankruptcy and walked away from the judgment. Ahdoot, also listed in last week’s indictments, is Amaya’s Vice President of Government Projects. That seems a made-up title which could cover just about anything, or nothing, but he may well have been the unidentified third Amaya official when the AMF announced its initial investigation into the Amaya-PokerStars acquisition last year. Amaya CFO Daniel Sebag was also named as being under investigation at thi time, though Sebag was notably not among those charged last week. The swirling mess centered on David Baazov, however, continues to grow. Conjecture has rapidly jumped forward to what all this likely mean for Amaya’s (and PokerStars’) future, in the event the allegations continue to have legs and/or Baazov is found guilty of some illegal activity. Amaya appears to be a closely-held company, largely in Baazov’s control, which means that simply sweeping the CEO out the door and installing a new executive regime may not be easy to accomplish. Nonetheless, a Baazov-free Amaya is likely to be one of the likeliest scenarios facing the company as it continues pursuing licensing and regulatory approval in new jurisdictions. At the least, last week’s wild string of breaking news means that Amaya is headed for a bumpy, unpredictable ride.